At approximately 8:45 a.m. ET Thursday, an NJ Transit commuter train crashed into Hoboken Terminal on Track 5, resulting in one fatality and at least 100 injuries, according to ABC. With thousands of people commuting on the trains during rush hours such as this, a lot of people are wondering what line the NJ Transit train that crashed into Hoboken Terminal. According to the New York Times, the crash was on the Pascack Valley line, which services several bustling commuter stations in New Jersey, including Spring Valley, Westwood, Oradell, Hackensack, Wood-Ridge, Secaucus Junction, and Hoboken. The specific train that crashed originated from Spring Valley station at 7:23 a.m. Thursday. According to a witness account from commuter Corey Futterman to ABC News, "We had just left Secaucus and that’s where about half or, if not, more than half of the train gets off the car to transfer to New York. We were approaching Hoboken and the train did not seem to be slowing down whatsoever, and then all of a sudden everything just crashed and shook." 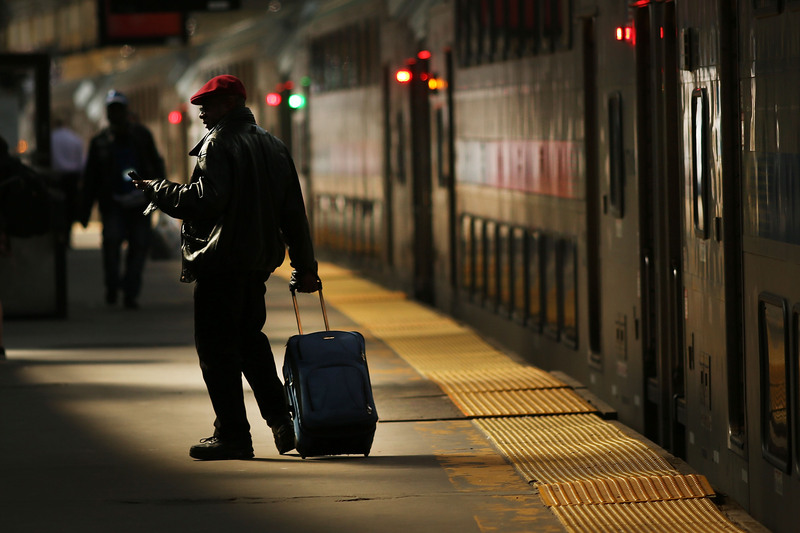 Information about the busy route shows that passengers heading into Penn Station from the train often get off at Secaucus Junction, the second-to-last stop on the Pascack Valley line, and the stop immediately prior to the crash in Hoboken Terminal. Passengers who stop at Hoboken frequently continue their commutes via PATH train to the World Trade Center as well. Prior to the crash, the train had already stopped at Spring Valley, Nanuet, Pearl River, Montvale, Park Ridge, Woodcliffe Lake, Hillsdale, Westwood, Emerson, Oradell, River Edge, New Bridge Landing, Anderson Street, Essex Street, Teterboro, Wood-Ridge, and Secaucus Junction. At this time, an exact cause for the crash is unknown, but officials have ruled out any immediate signs of terrorism. This post will update when more details become available.